Lateral Thinking with Withered Technology – Gunpei Yokoi #makerbusiness « Adafruit Industries – Makers, hackers, artists, designers and engineers! Yokoi said, “The Nintendo way of adapting technology is not to look for the state of the art but to utilize mature technology that can be mass-produced cheaply.” He articulated his philosophy of “Lateral Thinking of Withered Technology” (枯れた技術の水平思考, “Kareta Gijutsu no Suihei Shikō”) (also translated as “Lateral Thinking with Seasoned Technology”) in the book Yokoi Gunpei Game House. “Withered technology” in this context refers to a mature technology which is cheap and well understood. “Lateral thinking” refers to finding radical new ways of using such technology. Yokoi held that toys and games do not necessarily require cutting edge technology; novel and fun gameplay are more important. In the interview he suggested that expensive cutting edge technology can get in the way of developing a new product. 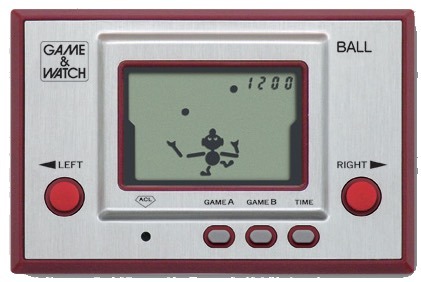 This is an interesting read and approach, read more on the Wikipedia page & Game & Watch.